Our goal is to connect people with the best local experts. 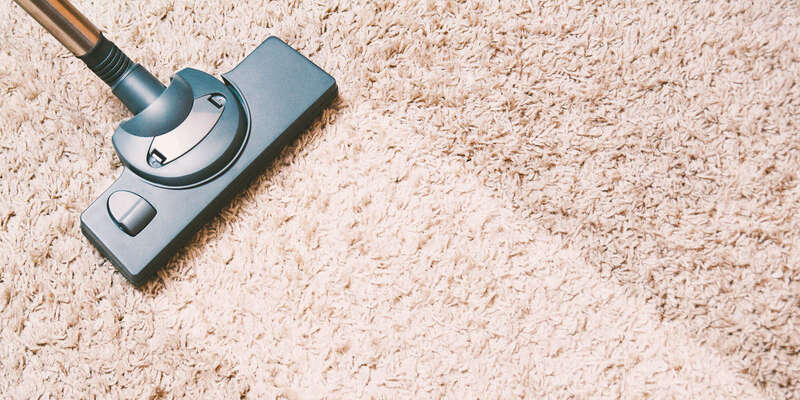 We scored carpet cleaners on more than 25 variables across five categories, and analysed the results to give you a hand-picked list of the best carpet cleaners in Santa Monica, CA. A.S.A.P. Carpet Cleaning is a family-owned and locally-operated company. Based in Santa Monica, CA, the company also serves the surrounding areas. They specialize in cleaning carpets, rugs, upholstery, hardwood flooring, tile and grout, air ducts, and dryer vents. They’re also skilled in removing pet stains and odors from many surfaces, including carpeted and wood flooring, and upholstered furniture. Their water-damage restoration experts help customers whose homes or offices have been damaged by broken water pipes or flooding. The company offers quick turnaround times with same-day appointments and 45-minute response times. They’re also available for 24/7 cleaning services to accommodate any customer’s schedule. Carpet Cleaning Marina del Rey provides residential, commercial and specialized cleaning services in Marina Del Rey, CA. Their services include carpet cleaning, stain removal, upholstery cleaning and maintenance, water damage repair and removal, tile and grout cleaning, and pet hair cleaning services. Their highly-qualified team continues to train in the latest cleaning techniques, and the company uses modern technology to produce top of the line results. Carpet Cleaning Marina del Rey also uses safe and environmentally friendly cleaning products and cleaning methods. They are available to respond to emergency services and are committed to providing exceptional service, competitive rates, and quality results. Carpet Cleaning Pacific Palisades is a carpet cleaning company in Pacific Palisades, Los Angeles, California, offering the best in carpet and rug cleaning services for more than a decade. Their services include carpet cleaning, air duct cleaning, upholstery cleaning, tile cleaning, and rug cleaning. Carpet Cleaning Pacific Palisades will eliminate dirt, stains, odors, bacteria, dust mites, and other contaminants hidden within the carpet fibers. Carpet Cleaning Pacific Palisades provides grade-A cleaning services. They welcome all major credit cards including MasterCard and Visa. Carpet Cleaning Pacific Palisades offers cleaning services 7 days a week. They use 100% natural, green organic products, and is fully insured, licensed, and bonded. Carpet Cleaning Santa Monica offers inexpensive cleaning and hassle-free hours with twenty service technicians in the area. They assist both residential and commercial customers in the California area. Services include furniture restoration, re-grouting, steam cleaning, fast dry cleaning, upholstery cleaning, deep steam cleaning, and carpet installation. Other services include hardwood floor maintenance every six months in a three-hour process with the involvement of buffing and refreshing the wood floor using eco-friendly products. Carpet Cleaning Santa Monica uses truck mounted machines which are PROCHEM and the combined mixing solution achieves the best results. Clients can call a toll-free number. Every member of the team at Carpet Cleaning Venice has the skills and experience to tackle jobs of any size, from the grimiest office carpets to smelly, deep-down pet stains. Carpets are one of the first things people notice when they enter a home, office, or living space, and new carpet replacement is an option many home and business owners can't afford, so the company provides regular cleaning services to power out stains, food spills, allergens, and odors that leave floors looking and smelling old, dingy, and dirty. Other available services include emergency water removal, flooding restoration, and mold inspections and cleaning to help keep families and employees safe and healthy. Carpet Cleaning Woodland Hills goes above and beyond to ensure satisfaction for clients with the most discerning standards. The residential and commercial floor cleaning experts provide a range of top-notch services that ensure carpets are thoroughly and properly cleaned without ever sacrificing quality or cutting corners. The Woodland Hills-area business specializes in the professional cleaning of carpets, Oriental and area rugs, curtains, upholstery, as well as mattresses and sofas. The experienced specialists pay meticulous attention to detail that yields outstanding results and consistently exceed client expectations. Carpet Cleaning Woodland Hills company features expert technicians skilled in the proper cleaning methods for all types of carpet materials including shag, Persian, and wool. The dedicated professionals maintain the knowledge and modern equipment to revive dull rugs and leave carpets spotless. Diamond Shining Cleaning is a cleaning company in Los Angeles, California that specializes in cleaning using only environmentally friendly products. Owner Candy Cea has over 20 years of experience offering a number of services such as house cleaning, window cleaning, garage cleaning, carpet cleaning, and more. They provide short-term and long-term janitorial service to commercial customers, same-day emergency service, and cleaning whether a customer is moving in or moving out. Airbnb hosts can maintain an orderly space by hiring the staff to clean up after rental guests. Estimates are free, new customers get 10% the first visit, and many have described them as skilled and personable. EZ Carpet Cleaning has been serving customers in the Santa Monica-area with excellence for more than 20 years. The trusted residential carpet cleaning specialists have an outstanding reputation for delivering reliable, professional services at reasonable prices. The business maintains state-of-the-art, truck-mounted equipment that ensures carpets are cleaned to the highest, most discerning client standards. EZ Carpet Cleaning takes complete customer satisfaction seriously by employing experienced, knowledgeable technicians with the expertise to handle jobs of all sizes. The company dispatches dedicated professionals with the tools for deep-steam extraction that ensures safety and quality. EZ Carpet Cleaning commits to providing customers with pet-friendly, environmentally responsible cleaning solutions that exceed expectations. Customers appreciate the exceptional service delivery that keeps carpets looking brand new. FibermarkMTC resulted when the two owners of separate businesses, a father and son, decided to merge their carpet cleaning companies to create one larger organization which retained the small business feel and dedication to customer satisfaction. Previous clients highly praise the company for its quality of service, professional staff, honesty, and reliability. The company remains equipped to work with commercial and residential customers in Santa Monica and the surrounding communities. Their professional employees provide numerous services such as carpet cleaning, air duct cleaning, leather repair, stain removal and odor control, and the application of protections and sealants for fabric. Customers interested in a green approach can request environmentally friendly products designed to clean well but leave little to no residue behind. Green Clean Westside offers a variety of professional cleaning and water damage services to residential and commercial customers in Santa Monica and the surrounding area. Their technicians are professionally trained in the individual services the company provides, and have the experience and expert knowledge of cleaning agents and carpet fibers, and use the most powerful equipment for water removal.available. The company offers carpet, rug, and upholstery cleaning, shampoo and deep cleaning, pet stain and odor removal, mold and mildew removal, rug repair and restoration, and more. They also offer free pickup and delivery of any size area rug, and all chemicals used are child and pet-friendly. Another service provided by the company’s professionals is air duct cleaning, which removes all types of allergens from the home. From carpets and rugs to tile and mattresses, the specialists at Indoor Carpet Care are committed to exceeding customer expectations. The company’s professional-grade equipment and cleaning solutions can pull up the dirt, allergens, food stains, and pets stains that vacuuming can’t touch, leaving behind only a fresh, clean look and feel with no harsh residues or annoying perfumes. Customers can enjoy a free initial inspection and price quote for all types of carpets, rugs, and upholstery cleaning, even delicate rugs and fabrics that need extra special care. Additional services include mattress cleaning to remove hidden dust, dirt, food, and pet hair, and tile and grout cleaning to power away ugly mildew and hard water stains. Customers can call the company to get price quotes and schedule a consultation. Prestigious Carpet Cleaning serves homes and businesses in the Santa Monica area. They are committed to providing professional and courteous service at affordable rates. Their cleaning professionals use state-of-the-art equipment and products that are non-toxic and environmentally friendly while utilizing the latest and most effective techniques. They guarantee their work through on-site inspections and client surveys and are fully licensed, bonded, and insured. Prestigious Carpet Cleaning provides residential and commercial carpet cleaning using a truck-mounted system and offers carpet repair, deodorization, and protective coatings. They also offer cleaning services for upholstery, area rugs, and tile and grout. Appointments are available seven days per week. Santa Monica Carpet Cleaning Specialists, located in Santa Monica, California, is a professional cleaning company that serves clients in the wider local metropolitan area. All services performed by the company are backed by a 100% customer satisfaction guarantee, and the company's professional website offers prospective clients a variety of coupons that includes free Oriental rug pickup and delivery and free carpet deodorizer. The company's services include upholstery cleaning, air duct cleaning, water damage restoration, and tile cleaning in addition to carpet cleaning. Santa Monica Carpet Cleaning Specialists accepts all major credit cards and clients receive a $10 discount for booking the company online. SoCal Carpet Cleaning is a family-owned and operated cleaning business conveniently located off Route 187 in Venice, CA that has been in business for over ten years. Services offered include carpet cleaning, upholstery cleaning, air duct cleaning, area rug cleaning, dryer vent cleaning, tile cleaning, mattress cleaning, and pet stain removal. The company uses a hot steam extraction cleaning method and utilizes safe, biodegradable, and environmentally friendly cleaning products. It also pays attention to details by utilizing the correct solvent as well as applying the appropriate temperature on each job. Past customers enjoy the informative and friendly cleaning technicians and administrative staff. Many also emphasize the quick turnaround time on scheduling an appointment and the punctuality of the cleaning technicians. West Valley Carpet Cleaning offers residential and commercial carpet and upholstery cleaning services to clients in Santa Monica, CA and surrounding areas. As part of its service, West Valley Carpet Cleaning provides free quotes and 24-hour emergency damage repair. Cleaning services from the company include but are not limited to upholstery cleaning, traffic lane cleaning, spot dyeing, hardwood floor polishing, Teflon protection, oriental rug protection, pet odor removal, leather cleaning, and tile and grout cleaning and restoration. Nathan of West Valley Carpet Cleaning prides himself on punctuality and client communication. Nathan also offers tips for carpet and tile damage prevention.